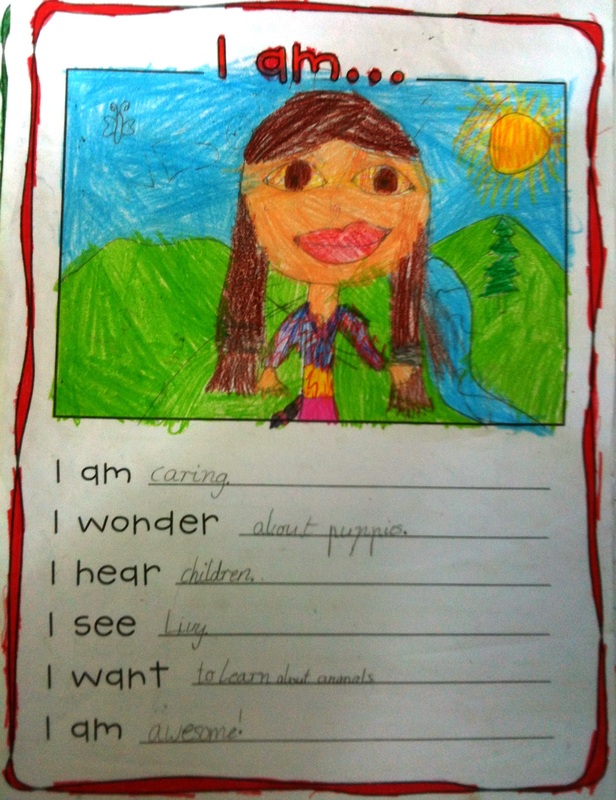 ← Not a Box by Antoinette Portis: IB-PYP Inquiry – How we express ourselves! Poems, rhymes, raps, finger plays and chants are important in all classrooms, but crucial to young children learning to read. 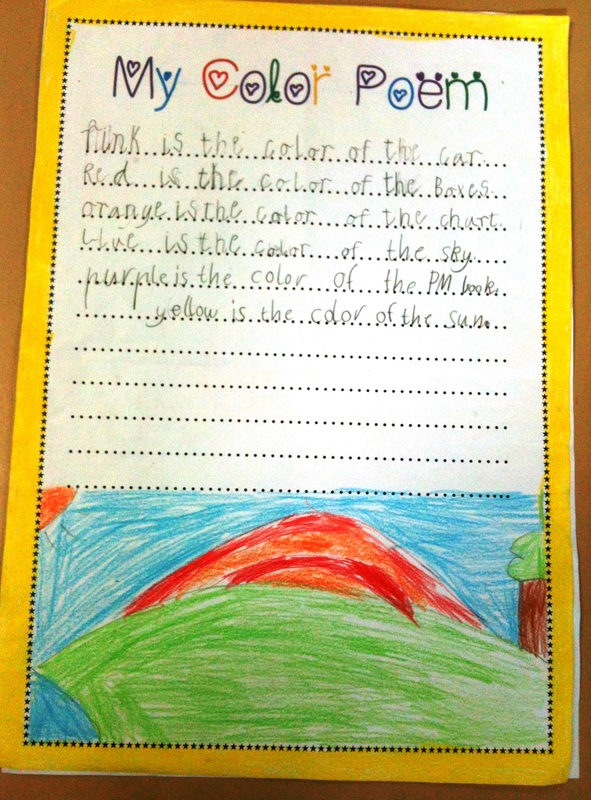 Rhymes allow students to make predictions. 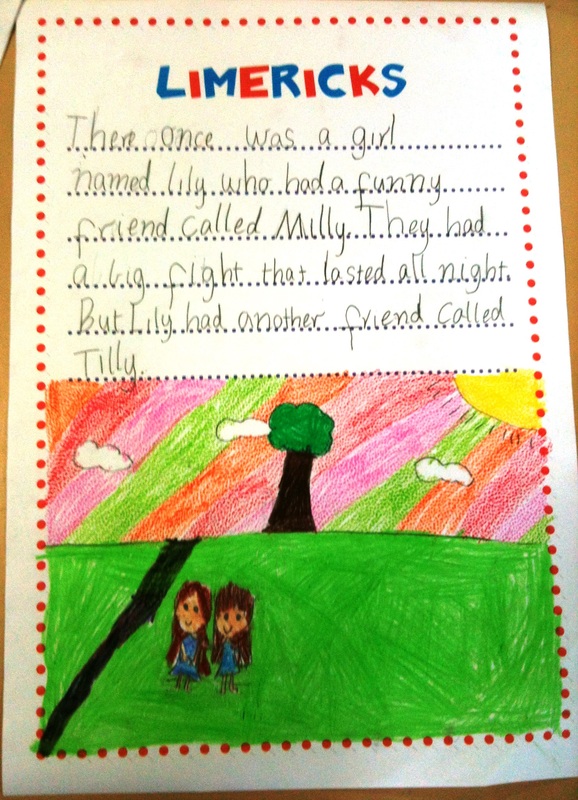 I find that the children, who have difficulty predicting a text, have a ‘tougher’ journey learning to read. The resurrection of poetry, rhymes and chants in classrooms supports the important role they have in developing the language skills of young children. 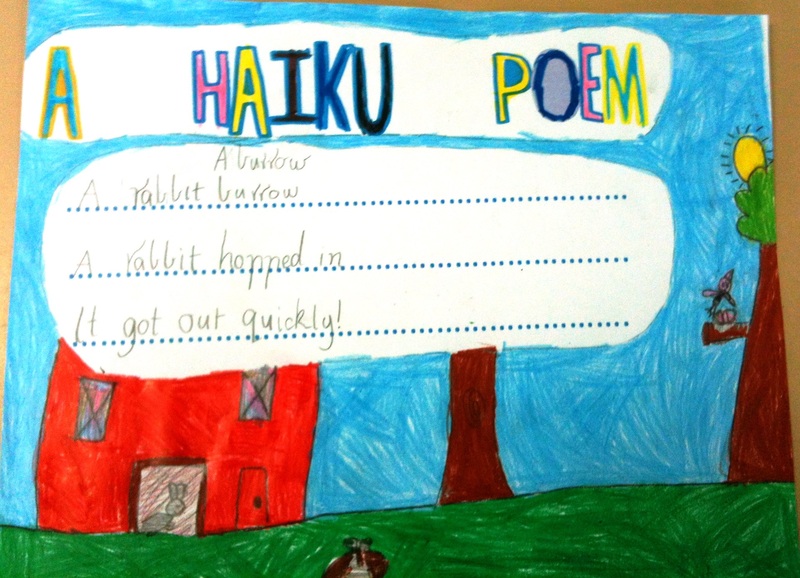 Introducing my students to a wide variety of poetry types has been enjoyable for all. 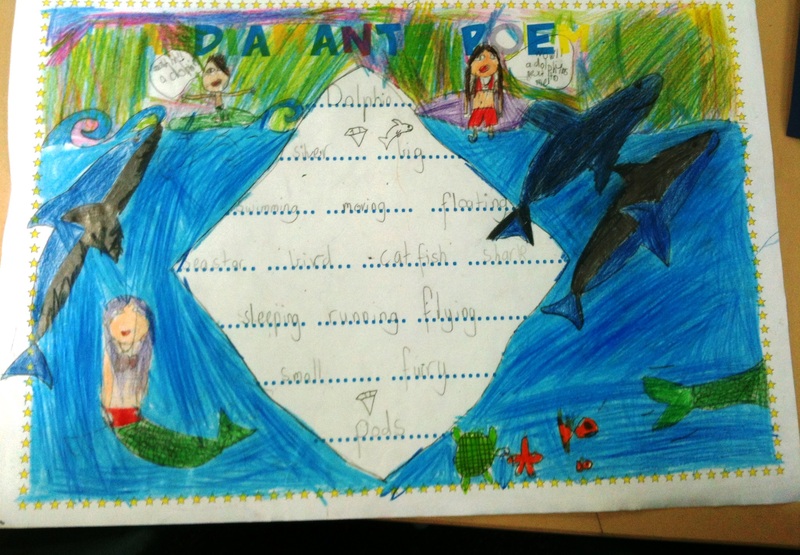 Success Criteria is essential for students to structure different forms of poetry. 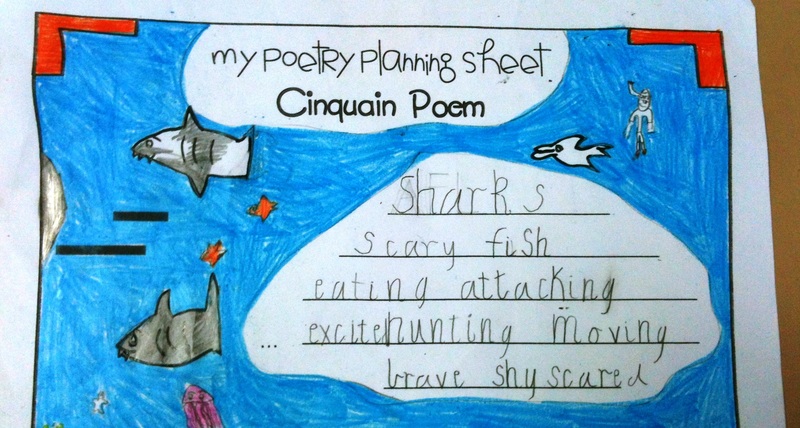 I found Kenn Nesbitt’s site Poetry 4 kids particularly helpful for providing my students with Success Criteria. 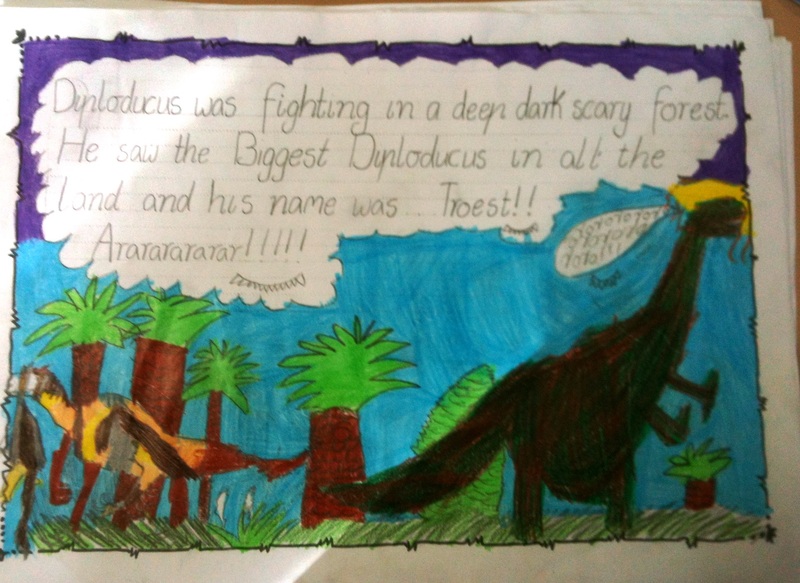 The children have written Acrostic, Haiku, Diamante, Limericks, I Am poems, Fathers Day poems and a Dinosaur Ditty. 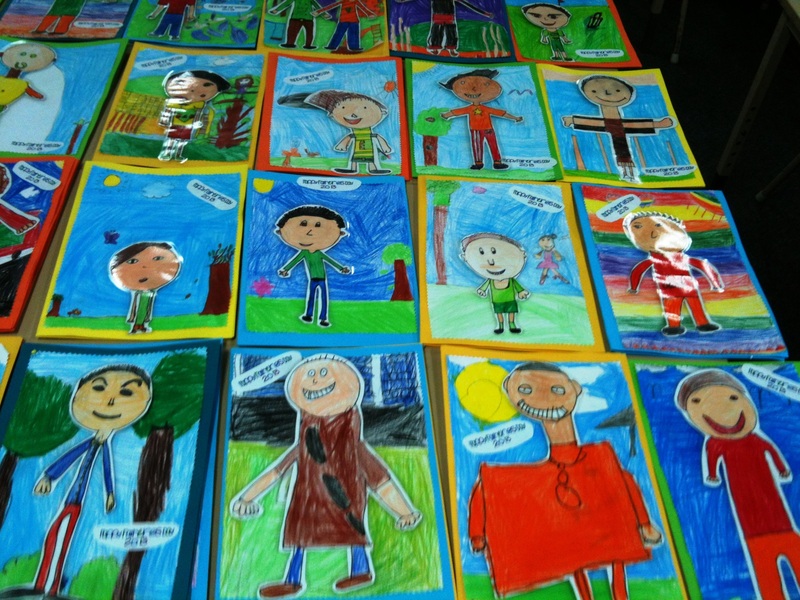 Our unit of Inquiry was ‘How we express ourselves’ and poetry fitted beautifully. 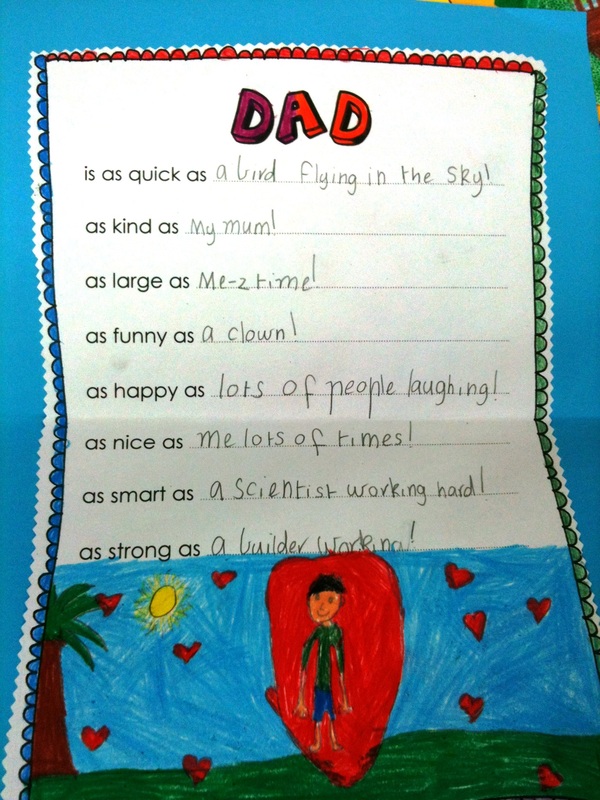 Here are our Fathers Day cards… Dad is laminated and is a fridge magnet.